This month the DSMA blog carnival is all about Social Media. We are asked “What advice would you give someone who was trying to figure out how to use social media?”. The first thing that pops into my head is JUST DIVE RIGHT IN . . . . but I suppose that’s not really much of an answer. Instead, here are a few things I wish I had realized when I was just starting out. Don’t be so shy!! 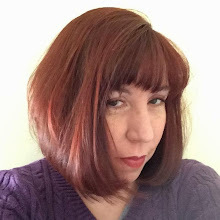 When I first started out, I often held off on leaving comments on blogs because I figured “these people don’t know who I am, they won’t want to hear what I have to say”. I could not have been more wrong!! The great thing about the Diabetes On-line Community (or DOC) is that we can (respectfully) share our thoughts and opinions. You never know when something you say will really help someone else. Don’t get overwhelmed!! There is a lot of social media out there. Blogs, twitter, Facebook, message boards, etc. etc. This is a good thing . . . . until you tell yourself that you must read each and every post and tweet out there and immediately get completely overwhelmed. (Actually, I still get overwhelmed often!) Remember that it’s completely fine to participate as little (or as much) as you have time for. Do be sincere and friendly!! Nobody is the perfect diabetic, so don’t worry that you need to be. If you feel like sharing mistakes, do it! If you want to share triumphs, do that too. Commiserate and celebrate with the DOC - that’s what we are here for. Find the SM tools that work best for you!! You might be a blogger. You might not want to write a blog of your own, but you love to read other’s blogs. You might be super at leaving blog comments. You might find the 140 character updates of Twitter are more your speed. Maybe you’ll love message boards. The great thing is that you are free to choose as many or as few social media tools as you see fit! Have fun!! Okay, that one goes without saying. And also, once you get started, I bet you will automatically have more fun that you can imagine! To those of you starting out, do you have any questions I haven’t covered? And to you social media “pros”, what advice would you give?? This post is my November entry in the DSMA Blog Carnival. 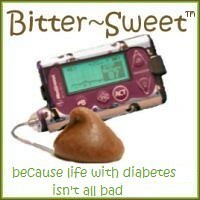 If you’d like to participate too, you can get all of the information at http://diabetessocmed.com/2011/november-dsma-blog-carnival/. It's funny how I looked at other kinds of blogs for years and never commented. But, now that I write a blog, I comment everywhere! You could have been reading my thoughts, especially about getting overwhelmed! I do have one question, and I think it is probably going to be pretty obvious after I hear the answer. What is DOC? Thanks! Judith - it's not obvious at all, and I should know better than to talk (or type) in short-hand. DOC is short for Diabetes On-line Community!! I'll add that to the body of the post!! A whole lot of BLUE!! Scrapbooking Diabetes . . .
3 Truths and 1 Lie. Case of the Mondays . . . Titles of my future book . . .
Give Diabetes the . . . paw? ?